Not a bad result really. 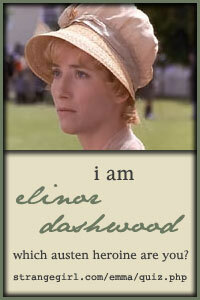 I think you are much like Elinor Dashwood. And also, I think that is a pretty name for the new baby, especially with your surname.